Fairfax and Human Made engage to create an efficient WordPress publishing workflow with a React.js based frontend. In 2016, Fairfax contracted Human Made for one of the largest modernizing changes the brand had implemented to date. Fairfax wanted a technical partner to support them during their digital transformation, who would have the practical experience to implement the best solutions to address their biggest pain points. They had a large-scale initiative: create an efficient publishing workflow that connects a decoupled WordPress installation with a React.js based front end. The editorial team at Fairfax was frustrated, having to deal with an abundance of email notifications for any required amendment or review. To overcome this challenge, Human Made created a Slack integration. This workflow reduced email noise enabling editors to review and approve news stories more efficiently. Some of the biggest technical challenges in this undertaking centered around making their content publishing workflow more efficient and integrating it with the front end—which was leveraging React.js. There was also a need to interact with existing databases as well as providing remote storage for the media using the Cloudinary API. The solution provided by Human Made now enables publishers to retain a larger amount of control over their process and content. WordPress was chosen because of its potential and capacity as a publishing tool. It is easy to use interface to edit and publish the content. WordPress’ stability and commitment to backward compatibility offers huge long-term benefits for enterprise-level businesses — an important consideration for Fairfax. The work that was has had an incredibly positive impact in the way the editorial team approaches their publishing workflow. Previously the editors at Fairfax would have to edit and crop images manually using an outdated image manipulation tool. This consumed a lot of time and was a stressful part of their daily tasks. To provide a better workflow, Human Made changed the way images are uploaded to a post, circumnavigating the standard WordPress media library functionality. Using the API Service provided by Cloudinary, they are now able to generate a range of thumbnails to be used in posts instantly, saving the Fairfax editorial team a ton of time. One of the most interesting aspects of this project is in the way WordPress interacts with multiple databases through the various API endpoints and custom integrations. Fairfax has gained a granular control over their content and the overall experience of producing and publishing for their editorial team has transformed entirely. WordPress is used as the editorial interface and the system by which reporters create and categorize their stories. 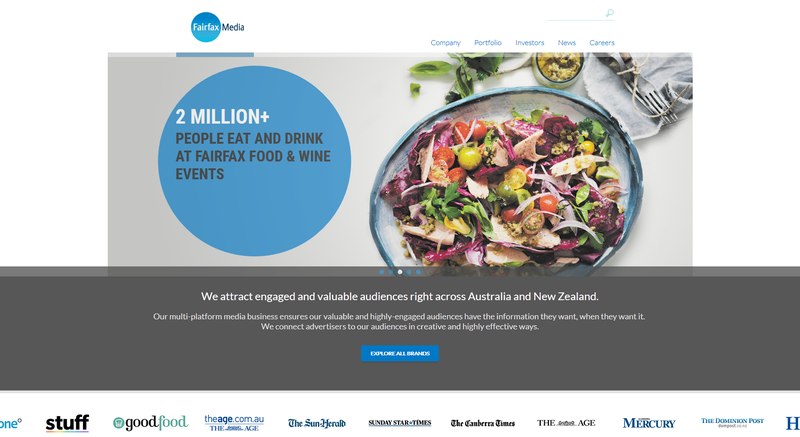 The capacity of WordPress to communicate with the feeds, the React based frontend, and Fairfax’s multiple databases enabled Human Made to create a flexible and streamlined tool for the modern newsroom that has provided an efficient and beautiful platform with room to grow for the future.